Only two months ago, the American-led campaign to contain and destroy the Islamic State group -- better known as ISIS -- seemed to be gaining considerable momentum. After years of watching Iraq and Syria descend into violence and devolve into prime breeding ground for Islamist militants, the Obama administration’s new strategy seemed finally to be yielding success. In Iraq, government forces aided by American airstrikes were on their way to capturing the city of Tikrit, sending ISIS scurrying for safety. That same alliance, supplemented by Iran-backed Shiite volunteer fighters, was preparing to advance north toward Mosul, Iraq’s second-largest city. Once Mosul was taken back from ISIS, the group would presumably be a broken force. In Syria, ISIS was confronting a formidable threat from the rival Islamists of Jabhat al Nusra, an affiliate of al Qaeda, threatening its claims on the caliphate it had declared across its territory. And this month, the United States joined with Turkey to launch a program aimed at training and arming moderate Syrian rebels, touting it as a means of escalating attacks on ISIS without effectively assisting other extremists. Now, much of that supposed progress seems illusory, the tenuous triumphs part of another era. This week, ISIS reemerged as a far more potent force than conventional estimates had believed it to be, one capable of extracting oil and gas revenues across its declared caliphate and deploying such resources toward effective capture of more territory. Last week, ISIS seized the Iraqi city of Ramadi, the capital of Anbar province, giving it a clear path to Iraq’s capital, Baghdad. On Wednesday, ISIS captured the Syrian city of Palmyra, gaining a strategic edge in the center of the country. Further afield in Libya, the group’s local affiliate on Thursday took control of Moammar Ghadafi’s hometown of Sirte. The notion that ISIS was being effectively squeezed into narrower territory, punished by air and denied a fertile economic base, had given way to worried talk that ISIS has effectively insinuated itself into a region torn by years of sectarian strife: With triumphs stretching from one end of the caliphate to the other -- from Syria to Iraq, plus the new outpost in Libya -- ISIS has both claimed new ground and signaled that it will not easily be dislodged. The success of its recent military push should buy ISIS time -- at least a few months, experts said -- to shore up its defenses against any offensive by the Iraqi military and rival Syrian rebels. It also indicates that the current American strategy against ISIS, using local ground troops with allied air support, has yet to yield lasting results. Despite the successful advances by ISIS, the Obama administration expressed assurances that it retained the upper hand, along with its counterparts in Iraq and Syria. "I don't think we're losing,” president Barack Obama said in an interview with The Atlantic published on Wednesday -- the same day that Palmyra fell. He dismissed as predictable the fall of Ramadi. "Ramadi had been vulnerable for a very long time, primarily because these are not Iraqi security forces that we have trained or reinforced," Obama said. But that characterization contrasts with previous assurances from American officials that Ramadi was but a minor objective on the road to the ultimate battle in Mosul. Now, Mosul seems a long way off, and Ramadi has become ground for picking over signs that the American strategy has come up deficient. Ramadi sits in a predominantly Sunni Muslim part of Iraq. The American and Iraqi government efforts to attack ISIS -- also Sunni -- depended upon success in persuading local Sunni tribes to join forces and drive out the militants. This was a complex undertaking, a bet that the success of the so-called Awakening, in which American troops coaxed Sunni tribes into driving out the Sunni militants in al Qaeda eight years ago, could be repeated. 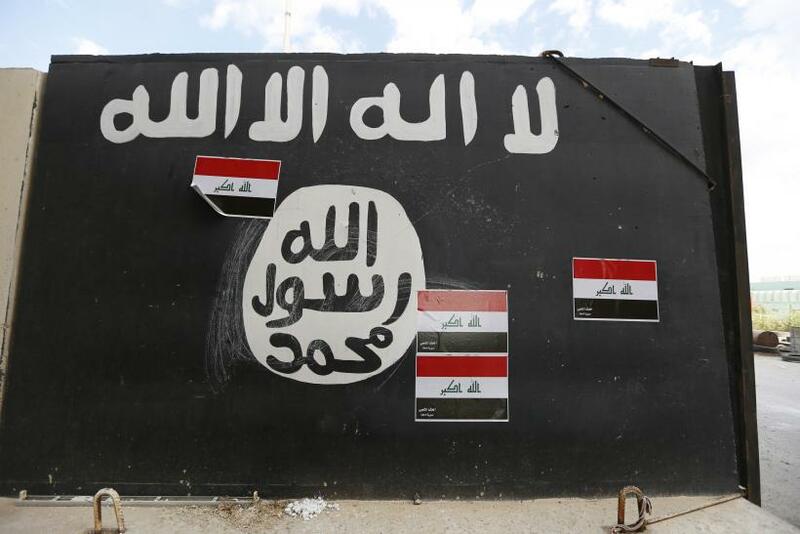 In interviews earlier this year, Sunni tribal fighters told International Business Times that some had participated in training sessions with the Americans at the al Asad military base northwest of Ramadi. But they also complained that they were not receiving promised heavy weaponry from the United States, leaving them outgunned as they sought to take on ISIS forces. This week, in the wake of defeat in Ramadi, two Sunni tribal leaders in Anbar told International Business Times that they had fought with nothing more than Kalashnikov assault rifles and explosives. The American airstrikes that had been so crucial in Tikrit were infrequent and of little consequence in Ramadi, they added. Overmatched and operating without air support, the Sunni tribal fighters resorted to old warfare ruses like digging tunnels, lining them with explosives and setting them off under columns of advancing ISIS men. That was not enough. ISIS also appears to have found a way to work around the coalition airstrikes. When ISIS began its final push toward Ramadi last week, it did so reportedly under cover of a huge sandstorm that blinded the airplanes’ targeting systems. Another sandstorm in February helped ISIS seize the town of al Baghdadi, just 3 miles (5 kilometers) from the al Asad airbase, where U.S. troops were stationed. But the fault does not lie with the weather, analysts said, so much as with the American failure to swiftly arm people on the ground. The U.S. is sending 1,000 anti-tank missiles to Iraq in addition to what it had previously pledged, the New York Times reported Wednesday. Prime Minister Haider al Abadi requested the transfer of the weapons during a meeting in Washington last month. Yet the missiles will not arrive in Iraq until sometime in June, the Times reported. Meanwhile, in Syria, the U.S. strategy to fight ISIS in the other half of its so-called caliphate is still far from being realized. 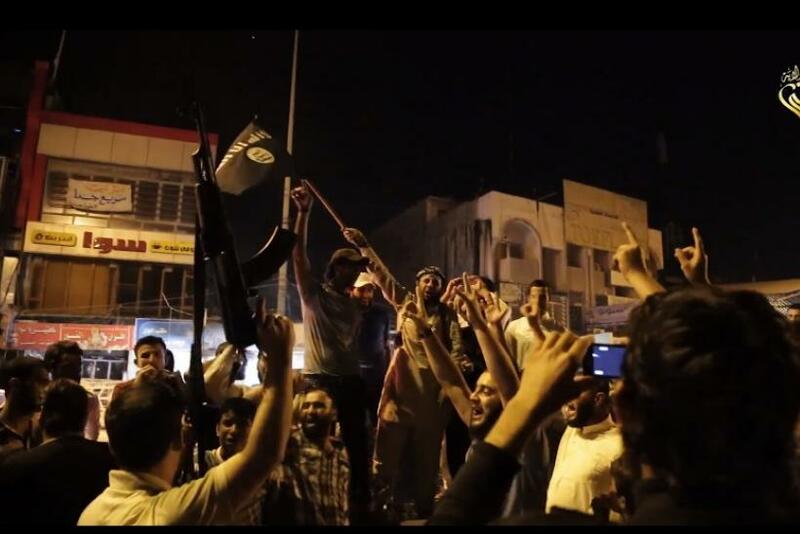 The strategy there is to arm moderate rebels who will then fight the Sunni militant group. But there are virtually no moderates left in the north of Syria, the focus of the U.S. train and equip program based in Turkey that has been postponed because of disagreements with the host country. Washington and Ankara disagree over which rebels to back, and over whom to fight in in Syria. Turkey tends to support more extremist factions that have links to al Qaeda and wants them to fight primarily President Bashar Assad, while the U.S. backs moderate rebels so they can fight ISIS. Those disagreements between the U.S. and Turkey have delayed arms transfers, rebels in Syria fighting near Aleppo told IBTimes. The only rebel groups receiving arms through the Turkish border are those with extremist ideologies, Reuters reported Thursday. That is happening in the face of an adversary that’s becoming tactically cunning and strategically savvy. In both Syria and Iraq, ISIS employs different strategies, depending on the terrain where the battle is taking place. The majority of its military successes have relied so far on three key points: Causing instability with smaller attacks over many months, splitting up the enemy on multiple fronts, and conducting operations when coalition airstrikes are least likely. That’s what ISIS has done in Ramadi, according to experts. In December, the group attacked the al Asad airbase, which kept many Iraqi soldiers and militiamen from going to defend Ramadi. A month later, ISIS made a diversionary advance toward the Baji oil refinery, far from Anbar, and only later began a separate push toward Ramadi. Then in April ISIS ramped up operations toward Ramadi, effectively splitting Iraqi forces. In Syria, there was no U.S. assistance in pushing ISIS back from Palmyra, where it was fighting President Bashar Assad’s army. Conducting airstrikes would have directly assisted regime forces -- the same people who are fighting rebels trained by the U.S.
Those military and political problems are compounded by the lack of discipline of local forces, often weakened and terrified by months of suicide bombings. In Palmyra as well as in Ramadi, ISIS had been conducting random suicide attacks for months. The long string of attacks has worked to create a climate of instability and fear among army soldiers. In both instances, many fled rather than fight. ISIS has been using this particular strategy since the fall of Mosul in June 2014. Militants had been carrying out suicide attacks on Iraqi government outposts for months before their convoys rolled into the city. The events in recent days have effectively set back the fight against ISIS by perhaps three months, analysts said, delaying the push for Mosul, the de facto ISIS headquarters in Iraq. The U.S. and Iraq had planned to retake the city this spring.